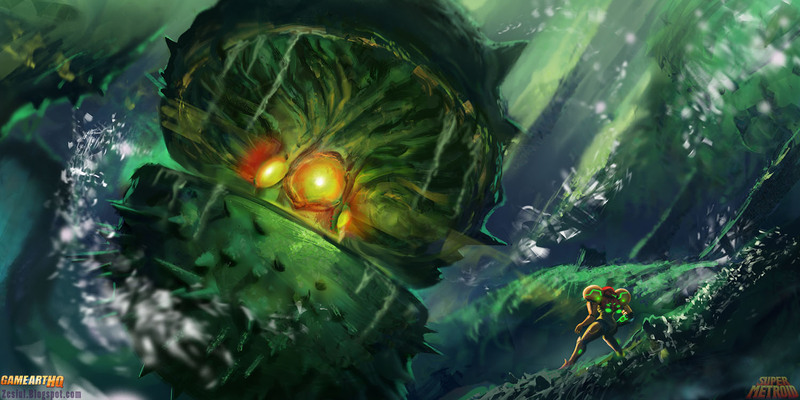 The Game-Art-HQ Community Pays Tribute to Super Metroid. We celebrate its 20th Anniversary with our Art! 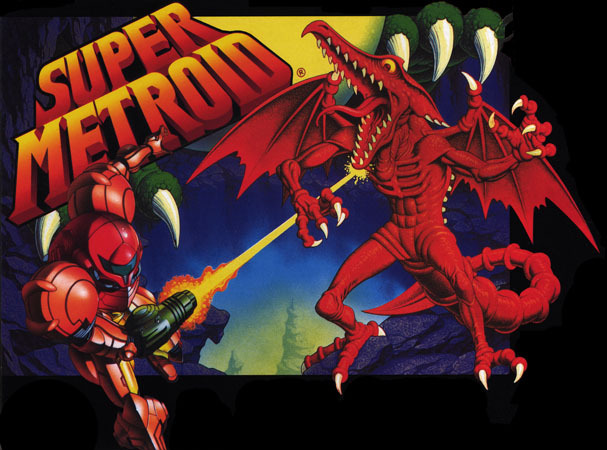 19th March 1994 – Super Metroid was released on the Super Nintendo In Japan. The game was developed by only 15 people managed by Gunpei Yokoi, the creator of the Metroid series. 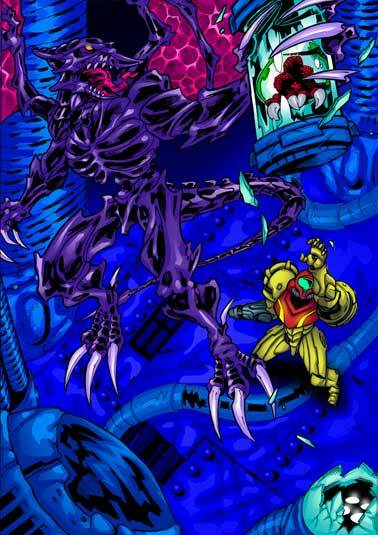 Today, 20 years later we want to tribute this masterpiece of a video game with our art about the game itself and especially the mighty enemies of Samus Aran and her battles against Mother Brain, Ridley etc. Thanks a ton Nintendo and every one of the developers for making this game. 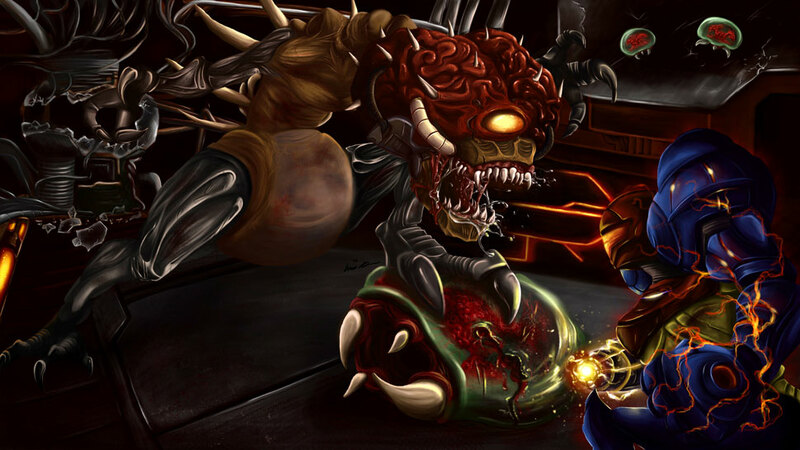 “Super Metroid! That game’s still a masterpiece, and by far my favorite in the series. It managed to capture the atmosphere of a truly eerie sci fi setting quite impressively, and everything from the music and creatures to the various environmental details just continued building on that to make one hell of a memorable and potent experience. Where to start… For me, this is my upmost favourite video game of all time and I’ve lost track of the amount of times I’ve played and finished Super Metroid. So I wanted to do something special as part of the tribute for it other than just a single character with a simple background. The results aren’t perfect but they’re a showcase of what I can push myself to do. I hope this picture portrays my imaginings of the different areas to the best of my abilities and shows just exactly what I can do with my skills and what can grow from learning and observing things. 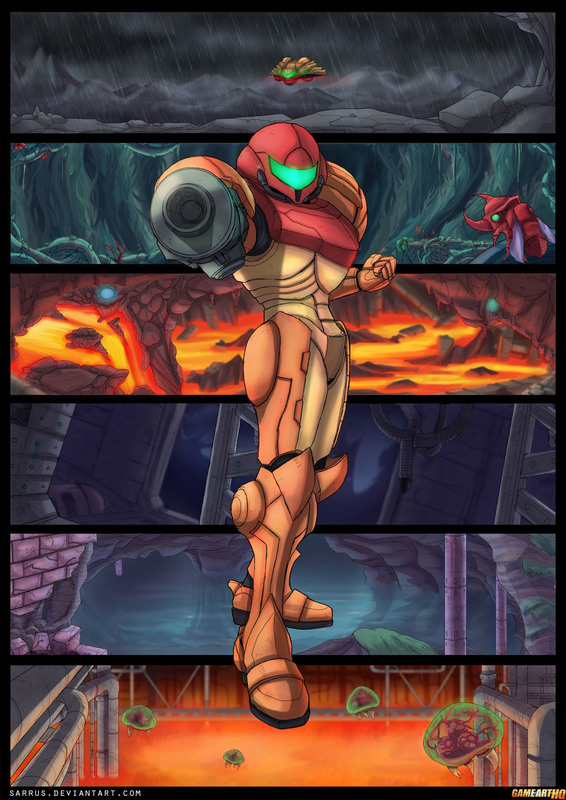 The first Metroid game I played as a kid was Metroid 2 and on all my stupidity I didn’t like it at all. 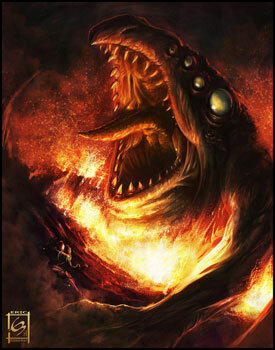 So I was really not interested on Super Metroid but fate made me try it anyway and I was blown away. 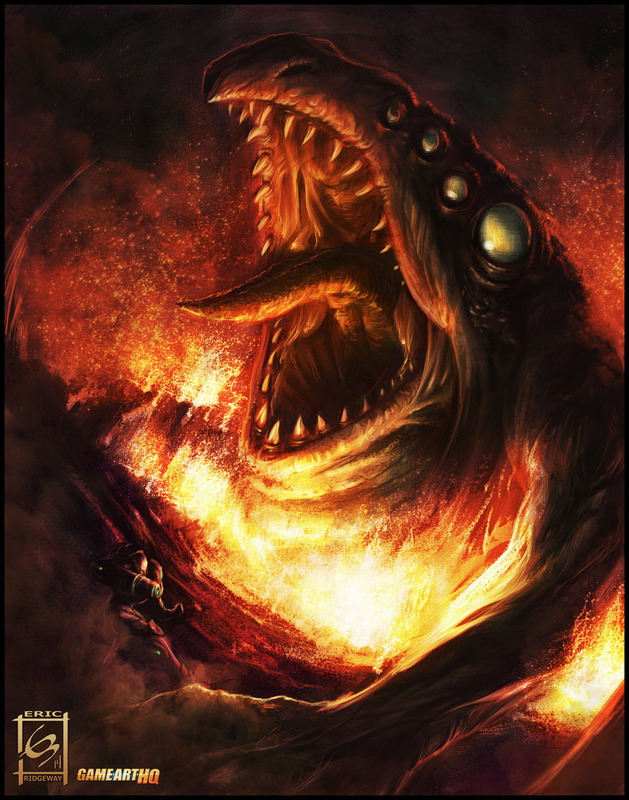 That title screen caught me off guard as unsettling it was, right there I knew that I was in front of something special and minutes later I’d face of with Ridley, instantly becoming one of my favourite characters. Despite to say that I was amazed to how an intense opening scene like that would make me travel to a distant planet which then would leave on me a feeling of isolation, a first for me on a videogame! Through that journey many were the moments that still haunt me today, like facing the real Kraid, finding the derelict spaceship , the amazing power ups that help us on our quest to the final showdown with Mother Brain! Super Metroid is more than just a game to me. It’s been a journey of discovery. The game let you take control of a fearless bounty hunter against the world. The environments were so immersive that you could easily forget that this well fleshed out world wasn’t real. 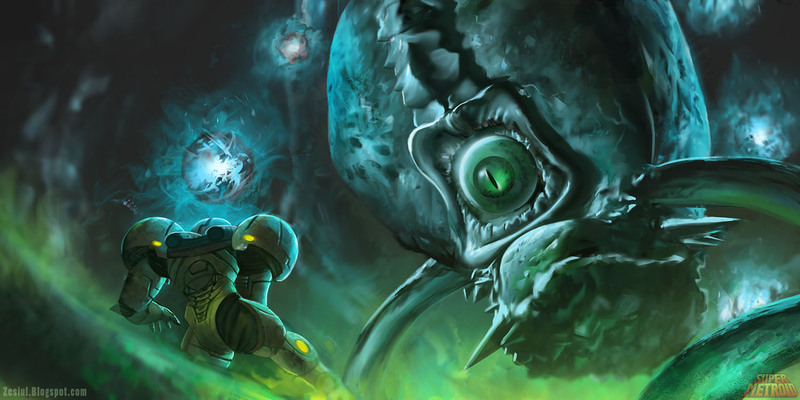 With many hours of exploration Super Metroid was easy to get lost in and extremely inspirational to many, including myself. I thought about how this 2d platformer would look like if it were remade in a newer game console, and using two main lights red and blue I gave it a feeling of a retro movie poster. 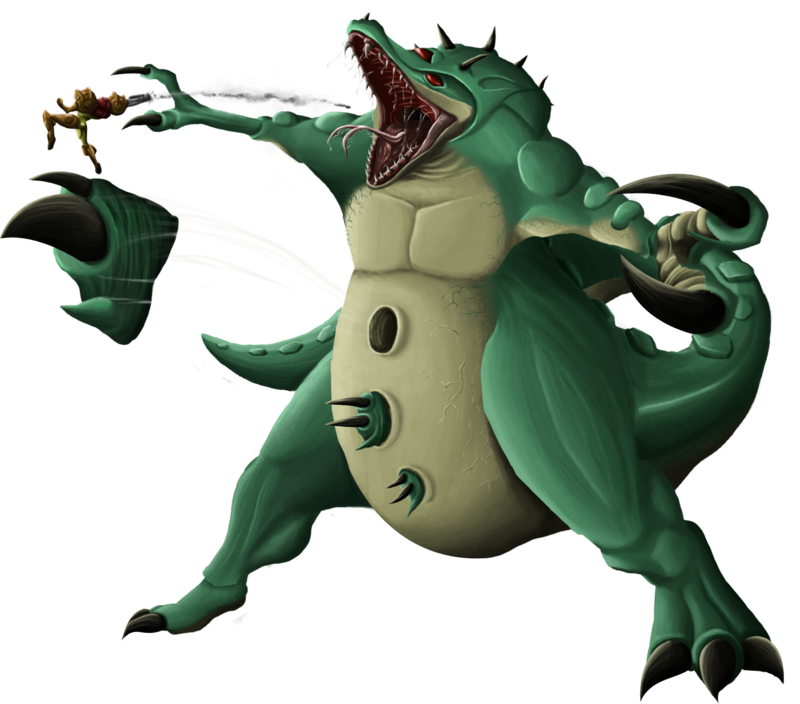 I choose the battle with Crocomire because it is one of my favorite bosses and since he’s not appeared in another game aside from Super Metroid it was a challenge for me to make it a full 3d model.The item menu is also made with 3d models. I was like 7 the first time I played it and it was a hell of a game, I never could do the frigin wall jump and when I finally beat it I started it again. It is one of those games you love for the story, music and the many challenges it gives. 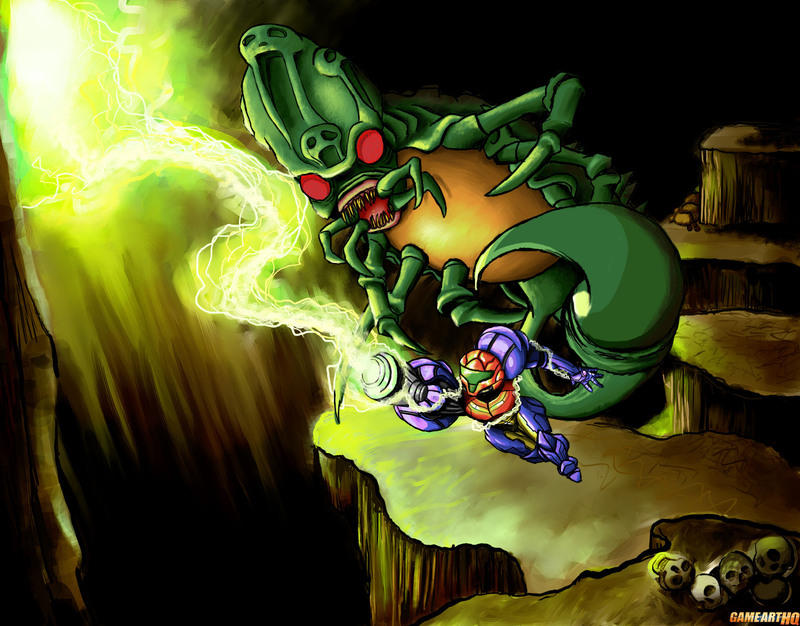 Super Metroid was unique for me. 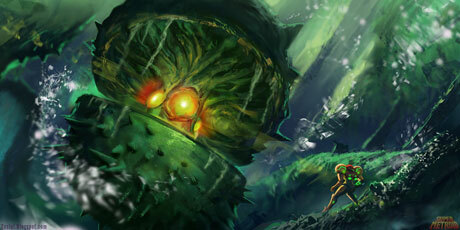 I still consider it to be the best Metroid game so far, for a few reasons. The moody nature of the game, with its dark ambient lighting and musical scores really drove home the feeling of being on an alien planet, especially in the beginning when it appears derelict. 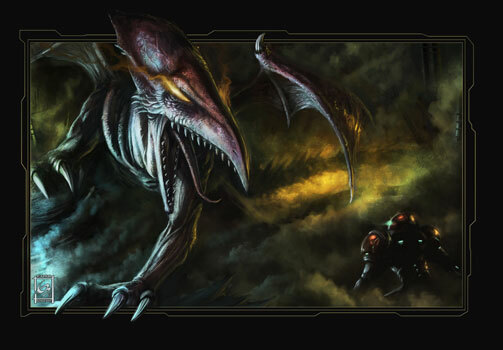 No other Metroid title was so dark and mysterious. Even Fusion and Zero Mission were kinda bright and uplifting by comparison. 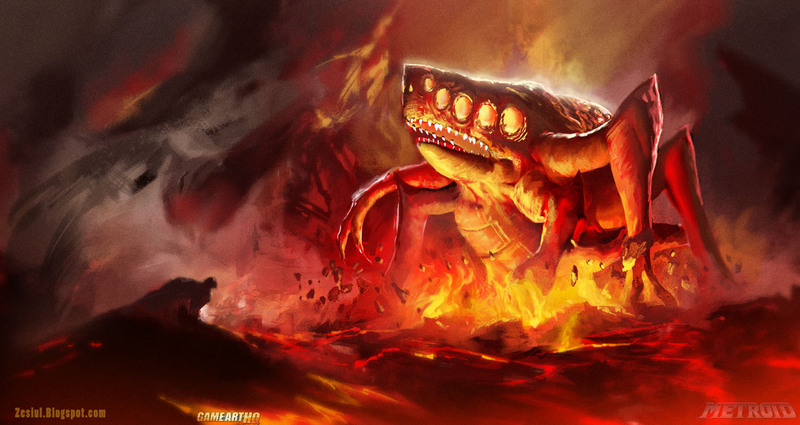 The bosses are all so epic it hurts. 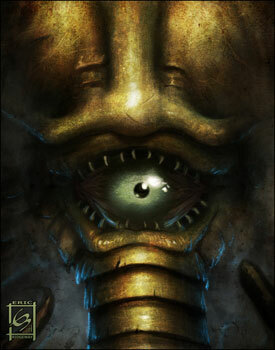 My all time favorite is Draygon, because Maridia is the creepiest place in the game. And he’s just terrifying to look at. 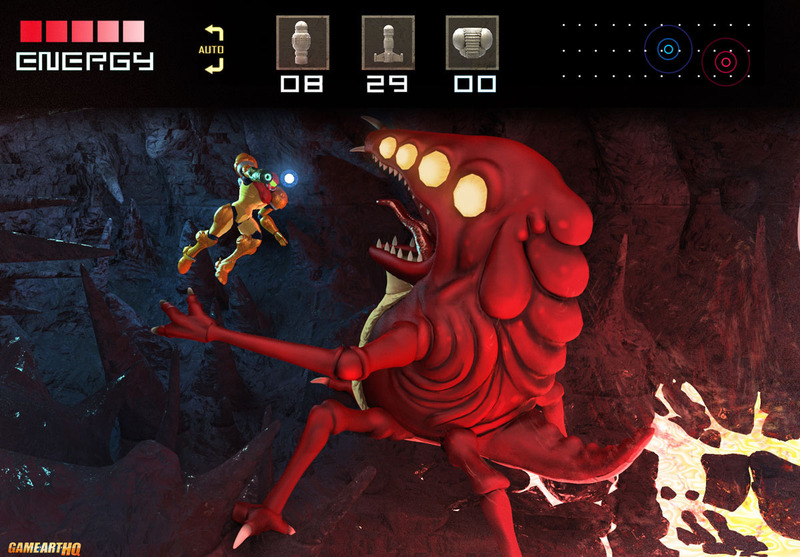 And Samus either has to kill him outright which is VERY HARD, or almost kill herself to blow him away by channeling her grapple beam. It’s such a struggle to win. 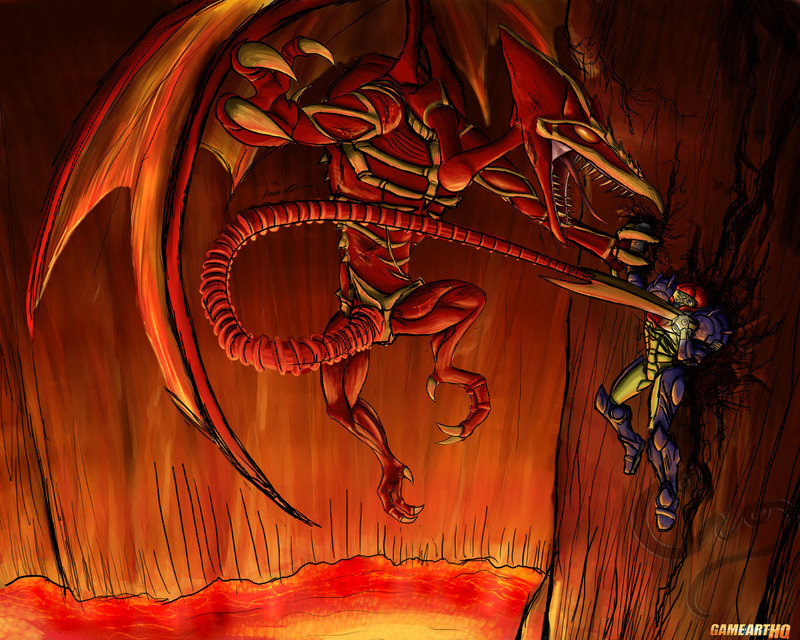 Ridley is my second favorite. He is probably the most difficult fight in the game. The first time I ever beat him, I had the last dregs left in my reserve tank, and I was completely out of all missiles. I knew I was done in but I kept firing charge blasts down his throat trying to outlast him. Finally I morphed into ball mode and started setting off my last powerbombs, but he swooped down and grabbed me as my last bomb went off. It was over for me, but then he just exploded and went down in a ball of flames. It’s one of the best moments in my gaming experience. Moments like that are what made Super Metroid a uniquely dynamic, moody, gripping game. 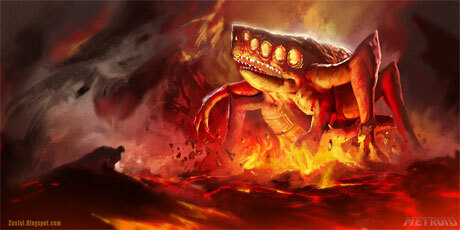 Those situations are the inspiration for every boss fight I’ve tried to capture in painting. Which brings me to Mother Brain. 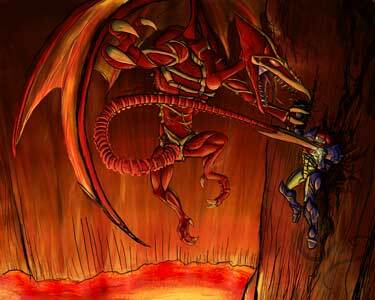 The fight that’s haunted my dreams since I was 5. 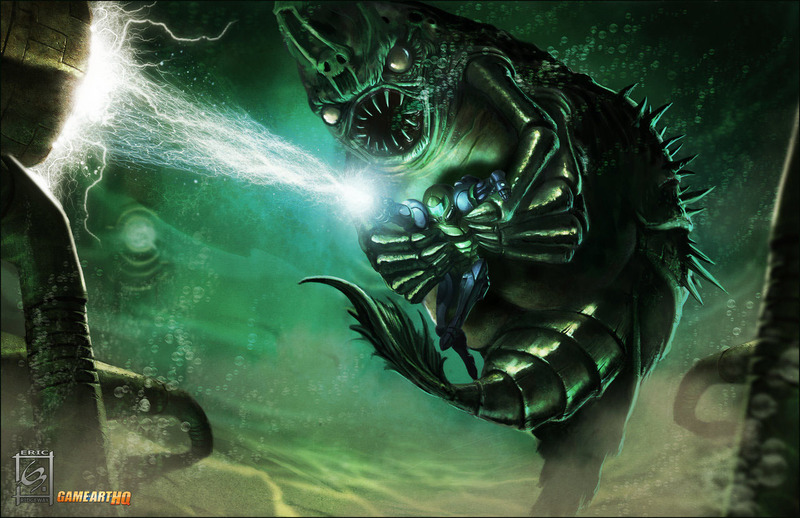 I still remember the paralysis, and the confusion as the master of the Space Pirates effortlessly pinned me to the wall while all my energy was drained away. 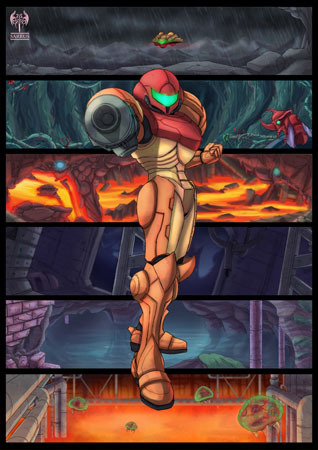 I honestly thought Samus was going to die and there was nothing I could do. Then the infant saved her just in time, and it looked like everything was gonna be great. Only Mother Brain started breathing again. And it all clicked when, even after all Samus’ energy was restored, the Metroid didn’t stop shielding her. The emotions in this last scene were gut wrenching. 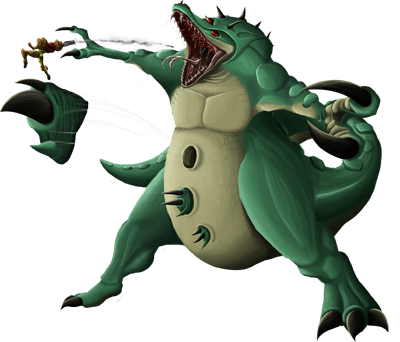 Even when painting it, I had a lot of trouble detailing shreds in the metroid’s skin. I just couldn’t bear to rip it up with my pen hand. 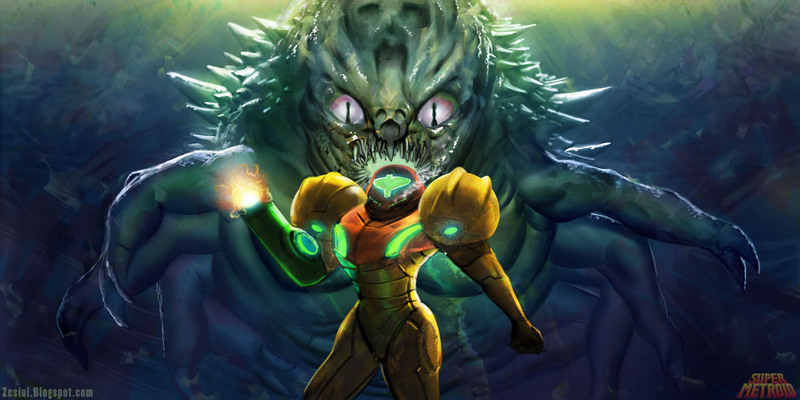 I think the bosses make the Metroid series what it is, as well as having a strong heroine. But the dynamic fights, dark style, and creeptastic music made Super Metroid an unforgettable classic.